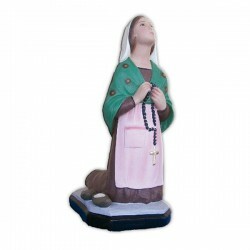 Statue of St. Bernadette of 32 cm. St. Bernadette (Bernadetta Soubirous) was born on the 7th of January 1844 in Lourdes. She died in 1879 in Nevers. When she was 14 years old she saw for the first time the Virgin Mary in a cave near Lourdes. After this episode, she has other 17 visions. All of these visions were acknowledged by the Catholic Church as “Miraculous events”. 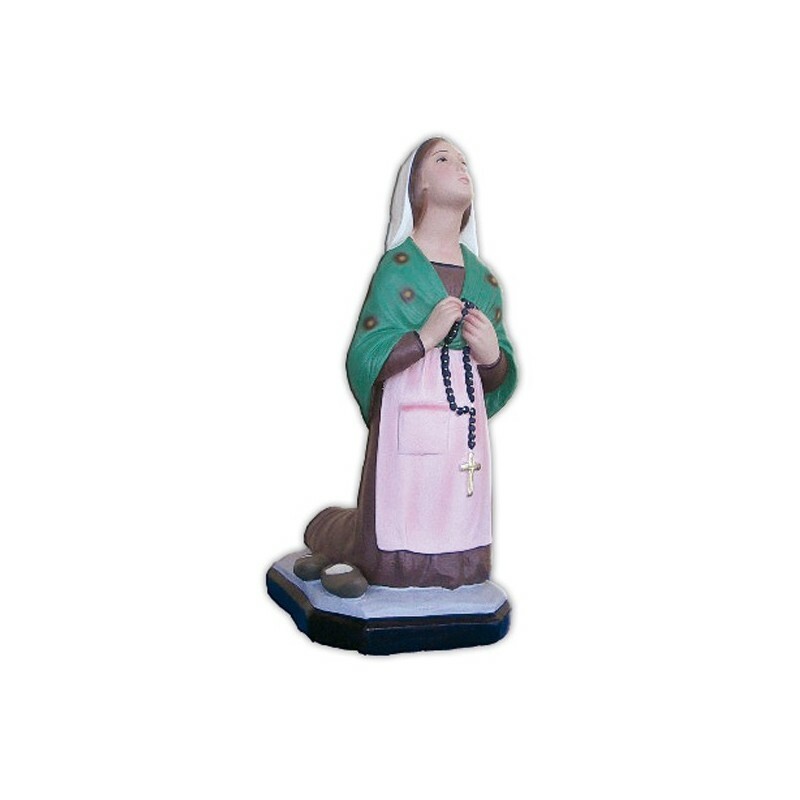 The figure of the Virgin Mary of Lourdes is illustrated as it was seen by Bernadette. “A Wife who wears white clothes with a blue stripe”.